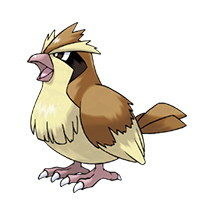 This page contains all the information available for Pidgey in Pokemon Ultra Sun and Moon including the moves learnt by level up, egg moves and TM moves. Keen Eye Keen eyes prevent other Pokémon from lowering this Pokemon’s accuracy. Tangled Feet Raises evasion if the Pokemon is confused. Big Pecks Protects the Pokemon from Defense-lowering effects.